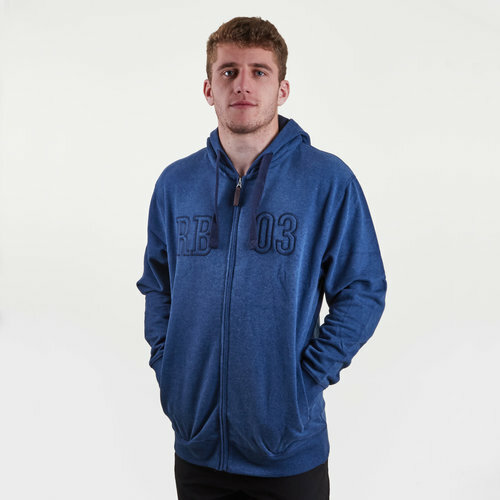 stay warm and look good doing it when you zip up this Raging Bull RB 03 Full Zip Hooded Rugby Sweat in Mid Blue. This hooded sweat is extremely soft and comfortable. With a drawstring hood, the wearer can create their desired fit and protect themselves from the elements. With a cuffed hem and sleeves this hoody keeps the warmth in. It comes in a navy colour with "RB 03" embroidered across the chest.